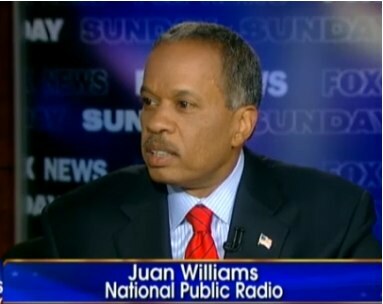 Politics aficionados among you have probably heard about National Public Radio (NPR)'s firing of journalist Juan Williams, over his comment about the anxiety he feels getting on a plane with someone dressed in Muslim garb. The controversy over Williams' firing didn't interest me as much as the comments by NPR's chief, Vivian Schiller, in the aftermath. In a press conference, Schiller said Williams should have kept his feelings between himself and "his psychiatrist or his publicist." This stirred up even more controversy, with Williams' supporters blasting Schiller for basically suggesting Williams was mentally ill and in need of a psychiatrist. Schiller apologized, saying her remark was "thoughtless." This incident illustrates the continuing strength of the stigma, in our culture, around working with a psychotherapist. As near as I can tell, Schiller's comment was just a poorly timed joke -- it wasn't meant to be a factual statement that Williams was seeing a psychiatrist. Nonetheless, people on both sides of the issue took what she said as a serious insult. Why is it considered insulting in our society to suggest that someone is working with a therapist? My sense is that there are two reasons. First, the common belief seems to be that people only see therapists if they're "mentally sick," the same way we see a physician if we have the flu. Thus, any public figure who's seeing a therapist must be unfit to do his job or hold office. Another widespread assumption about therapy is that it's something only weak people do. A strong person, after all, can handle their own psyche and emotions, and doesn't need anyone to help them do it. I disagree with both of these assumptions. In fact, I'd be more inclined to trust a public figure -- politician, celebrity, or whatever -- who voluntarily sought out a therapist than one who didn't, especially if they were courageous enough to admit it in public. Why? First off, a person working with a therapist is probably doing so because they understand that they, like all humans, are imperfect and have room to grow. With that understanding, I think, comes humility. I wouldn't want the country run by someone under the illusion that they had no flaws. A person who believes they can do no wrong, I think, is dangerous in a leadership position, and history is littered with examples. What's more, I think it actually takes a lot of strength to be willing to see a therapist. If we have the good fortune to find a therapist who's ready to do deep work with us, we're going to visit many aspects of ourselves and our personal histories that aren't at all pleasant. Also, a skilled therapist can help us see "blind spots" in how we relate to the world that we, and people we surround ourselves with, aren't aware of. Unless someone helps us get conscious of them, our lifelong patterns of people-pleasing, manipulating others, defending ourselves from childhood threats, and so on, can run the choices we make without our knowledge. I'd be more likely to trust someone whom I knew had worked to develop this kind of awareness. And yes, I'm speaking from personal experience. (Oops, there goes my political career!) I've worked with therapists, but not because I saw myself as sick, broken or weak. Self-development junkie that I am, I see psychotherapy -- done skillfully -- as one of the most powerful opportunities for personal growth.